5 Animals and Insects That Resemble Leaves, Flowers and Poop! Nature is mysterious. It’s also beautiful…sometimes, shockingly. When you think you’ve seen it all, nature throws another curveball at you, leaving you spellbound and speechless. Fun Fact: The Indian dead leaf butterfly doesn’t like to fly. Just like a dead leaf skims the ground when a gentle gust of air lifts it into the air; the dead leaf butterfly too occasionally flits around the ground only when he absolutely must. He chooses to stay-put, snacking on fallen fruits, moving only when food runs out or there’s danger nearby. Fun Fact: Despite its “satanic” appearance, the leaf-tailed gecko is a very mild-mannered creature and is relatively harmless. Her young are pretty shy too. In order to prevent them from being eaten after birth, the mother lays her clutch of eggs inside the dead leaves of a plant, so that her little ones (which resemble tiny dead leaves) get camouflaged completely once they’re born. Fun Fact: The bird dung crab spider is a master of deception. In order to play the role of “bird dung” with conviction, the spider sprays a thin jet of its own silk on the leaf and then applies some on parts of its body. It then lays down on the silk and waits. From the air, the spider now looks like a piece of bird poo, laying in a puddle of white, watery bird droppings. Fun Fact: The moss mimic stick insect takes mimicry to a whole new level. The stick insect’s moss-like cuticles take on the colour of the tree it lives on. You may see insects of the same species in different shades of greens and browns. 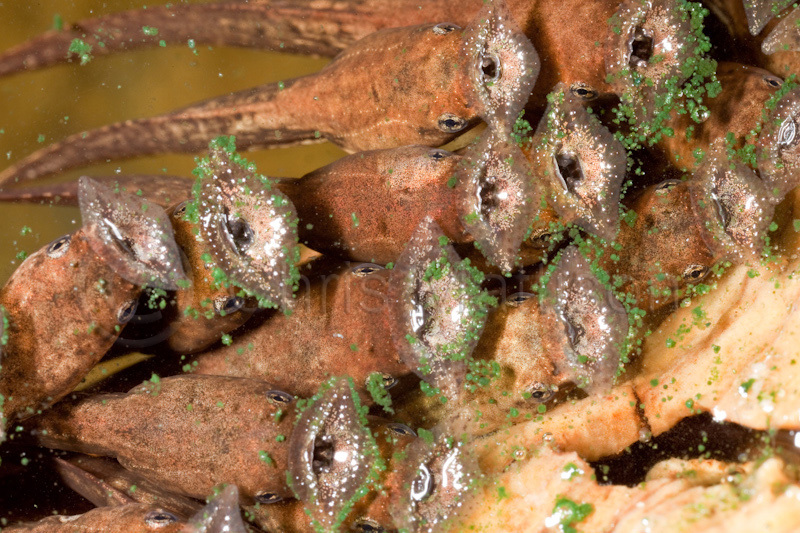 Another fun fact – the moss mimic stick insect’s eggs resemble plant seeds. She doesn’t lay them in clusters like other insects. Instead, she loosely fixes them onto different trees so that they can fall or be carried away by birds, hatch elsewhere and expand her kingdom. Fun Fact: The tadpoles of the Malayan horned frog have a really unique physiology. Unlike other frogs, their mouths are upturned and they cannot eat underwater. They need to swim to the surface and feed-off anything that is floating on the water’s surface (compared to other tadpoles which live underwater and eat aquatic algae). Fun Fact: The Orchid mantis’ camouflage is so effective; more number of butterflies, bees and other nectar-eating insects are actually attracted to the orchid mantis, than they are to the actual flowers! P.S: Featured image: An Orchid Mantis. Hi Nisha! The orchid mantis is gorgeous! It’s got to be one of my favorite insects ever! Also, I haven’t forgotten about the Wildlife Value Orientation post I promised you. I’m still working on it, I just had more urgent projects come up and the research phase of the post is taking a long time. It certainly is beautiful! I’ll let you know when I finish the post! Do Cockroaches Add Any Value To Our Lives?